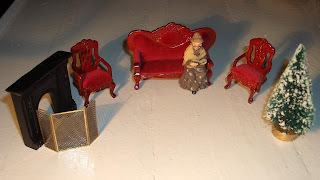 As a huge dollshouse fan I am signing up to follow along with your miniature creations. It's back to Rumer Godden again, isn't it? I always wanted to make the Japanese dollshouse in Miss Happiness and Miss Flower. I'm still saving my pencil box ..